Melissa Gifford - Independent Stampin' Up!® Demonstrator: Today is the day - the new Stampin Up 2017-2017 Annual Catalogue is live!!! 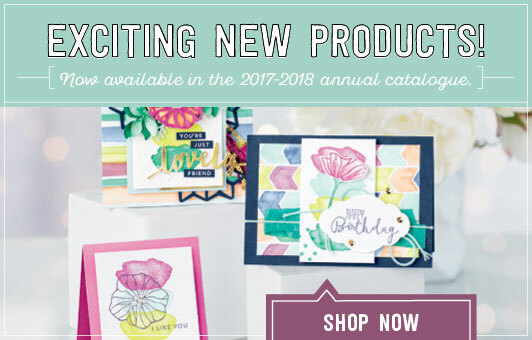 Today is the day - the new Stampin Up 2017-2017 Annual Catalogue is live!!! Woo hoo!! The big day is finally here!! I'm so very excited today as we say HELLO to the new Stampin' Up! Catalogue. It is overflowing with ideas, inspiration, gorgeous new colours, inks, papers, ribbons and more! 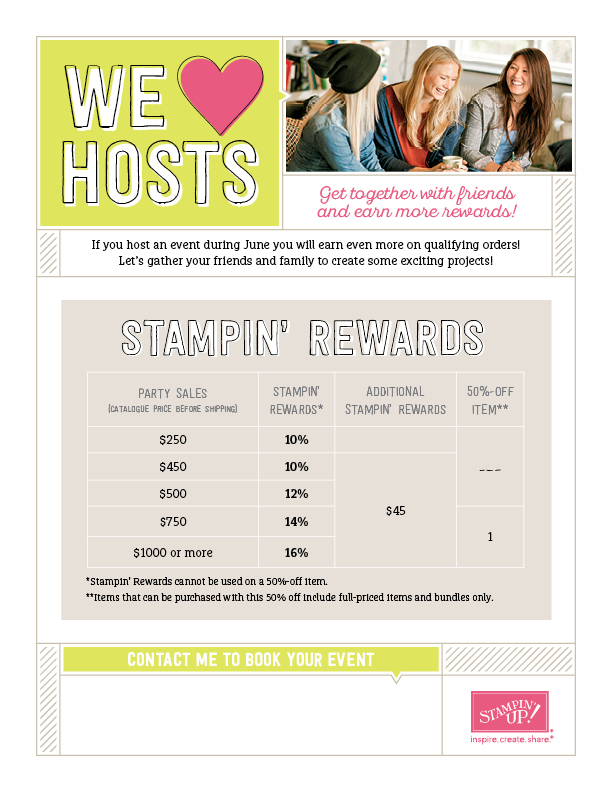 There is a fantastic bonus hostess reward offer for the month of June only - sales over $450 earn an extra $45 in hostess dollars to spend on top of the usual 10%. So on a $450 sale you will earn $90 to spend on FREE product. Is your wish list as long as your arm - or perhaps even longer? (mine sure is!) Are you keen to save a minimum 20% on all your future orders? Then why not consider the ULTIMATE BUNDLE and join my team as a fellow demonstrator? Pay $169 for $235 of product including free shipping and business supplies to get you on your way. Not sure you want to host parties, classes or workshops? That's more than ok, you can just join to support your habit. There is NO PRESSURE! I have heaps more to share so keep checking back in!